My Antonia is a book that I have avoided since my first read as an incoming high school freshman. It was one of three books we were required to read before the year started (the other 2 were Ender's Game and The Count of Monte Cristo), and it was a novel that my entire class hated. I've actually written about that experience before, back when I read Cather's O Pioneers! 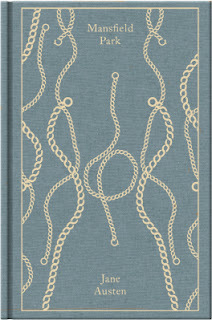 as book 25. At the time, I think my read of her novel came at the wrong time. First, it followed two books that blew me away with action and plot. And if you've read My Antonia, you know it is a much quieter book. I also think I fell victim to the pressure of my peers to hate the book. Because I while I remember being frustrated with the novel, I don't think it was until I was in class talking about the book that I hated it. In all reality, My Antonia is a book I should have loved back then. I have always been fascinated by life on the prairie and the lives of those who went west with the expansion of the United States (as proven by my love for Laura Ingalls Wilder and the fact that my American Girl doll was Kirsten-the pioneer). I suppose I can chalk up my previous experience with Cather to being a stubborn teenager, and to the book finding me in the wrong time and place. For this read, I was excited to begin. After loving O Pioneers! so dearly, I had high expectations for this, especially because I could barely remember it. 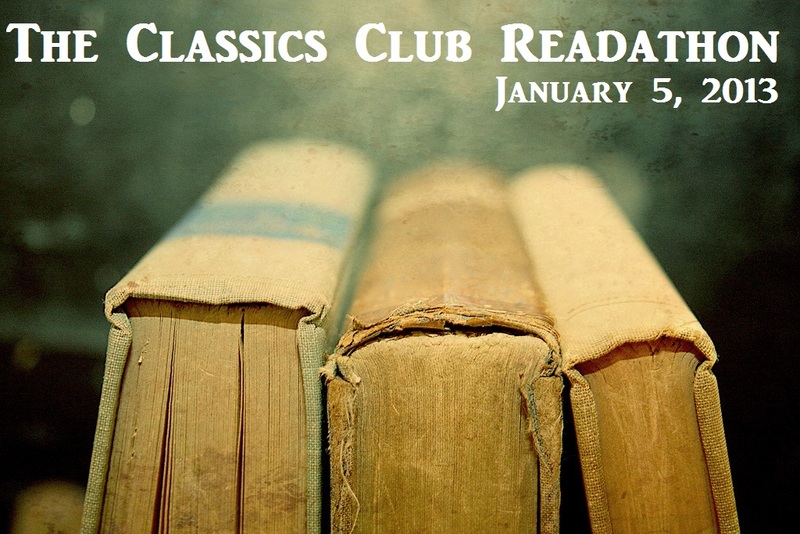 I decided to dive in during The Classics Club Readathon, and I wasn't disappointed by the story. Yes, My Antonia is a quieter story. At its heart, it is a perfect example of picaresque literature. 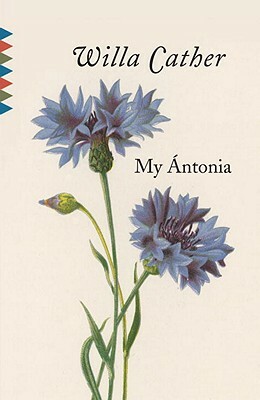 There are small stories that connect together in small ways, but they all come back to the narrator's reflections of Antonia. The writing is absolutely divine. Cather paints a portrait of life on the American prairie and the challenges those individuals face. And while the read certainly gets to know Jim Burden, the narrator, we also get to know the community he grew up in and how Antonia fit into that world. The beginning of the novel has some of my favorite descriptions. It is early on in the novel that Jim comes west to live with his grandparents, and the enormity of the landscape almost overwhelms him at times. From Jim's appearance on the prairie, there is also the appearance of Antonia and her family-a strong-willed group of immigrants who struggle to survive amidst the hard conditions. Reading about their struggle brought back a lot of images related to the other "pioneer" novels I have read. And like the others, Cather touches on the violence of the conditions, but also the beauty of a land more devoted to nature than human influence. The novel also continues to grow with the characters. Jim and Antonia grow up and change-moving to town and discovering loves of their own. Their growth, as well as the growth of the prairie, are central to the entire novel. While they shape the land around them, it also shapes who they become. In all, it is a beautiful novel, but quiet. It merely reflects on the life of the pioneers-those brave individuals and families who forged the western half of the United States. It does so eloquently and with a quiet strength. And, it was most certainly wasted on my 14 year-old self. But, I am glad I took the opportunity to read it again as an adult, and to cherish it. 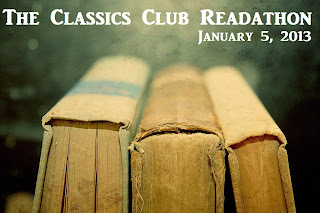 It has been quite some time since I have hosted a Classics themed event on the blog, and that dry spell is coming to an end in March! I'm really excited to announce "A Modern March," a literary event focusing on the Modernist period. The event will begin on March 1 and end on March 31. The goal will be to read and focus on Modernist pieces of literature and learn more about that era. To be perfectly honest, this is a literary movement I am not as comfortable with. While I have read Woolf (love her), Faulkner (love him), and a few selections from other Modern writers, I'm not as comfortable with their work as a whole. This is the perfect opportunity to remedy that! If you have no idea what constitutes a piece of "Modern" literature (and whenever I say Modern, I don't mean contemporary lit), it generally refers to literature written between the very late 19th century and the halfway point of the 20th century. In general, Modernist writers experimented with style, form, and theme. They broke away from the traditional viewpoints found in literature until that point and strove to focus on the darker and more unpleasant sides of life. This is also the time period where stream-of-consciousness made its roaring appearance. There are more, of course, but those are the heavy hitters of the period and those most closely associated with the movement. To participate, please put up a post on your blog stating your intentions, then link it back here on the Mr. Linky widget. Starting on March 1, begin reading your Modernist literature selections. There will be a master post here for you to link your reviews throughout the month, and there will be a prize at the end of the event. I also have a sponsored giveaway for a new edition of Fitzgerald's This Side of Paradise that will happen at some point during the month! I hope you're as excited as I am-make sure you sign up! I thought it would be fun to give you all a tour of my classroom. Since starting a new semester, I changed some things around and out up some new displays. And while my classroom isn't perfect (you'll see some clutter in some pictures), it is far more comfortable than it was first semester. This is the view when you come in through the door of my room. My room is almost in the middle of our building, and was a room that was added on in recent renovations (it was a courtyard, or some such before). You'll see on the far left side a paneled wall-it moves so that my room and the one next door can be combined into one big room, but it's obviously closed during school hours. You can see my front board in the distance, as well as the sign language teacher's desk in the distance. On the left-hand side of the door, you'll find our storage cabinet. With the exception of our filing cabinets and desks, this is the only storage we have in the room. Sadly, those boxes on the top were "inherited" from the teacher who retired at the end of last year, and we have yet to go through them. There are a ton of boxes and books in the cabinet I need to go through as well. Not being in my room during a prep hour kills my organization! Anyway, the genre posters are new! They're fashioned after old movie posters, and the kids really like them! When you walk in the door, this is what is along the right wall. It is a huge whiteboard that is semi-useless (the projection screen is on the other wall, or I would use this as the front of my room). So, I've turned it into a display wall. Right now I have my display on The Great Gatsby, which I am really a fan of. :) To the left of the display is the "Schedule" area, where I write down our tasks for the day. At the time I took this picture, I had grades from first semester taped up. Above the board are a couple of banners-one with the presidents, and the other is a timeline of important events in U.S. History. They go along this wall, then curve around the corner to go above the door. If you go straight into the room (the view above was at an angle), you'll find the "big desk," aka my desk. Since I am in the room for hours 1-4 (the sign language teacher is in here during 5 and 6-I travel to 2 other rooms those hours), the big desk houses a lot of my supplies and personal effects. There is my big (wrinkly) State flag, as well as a white board full of reminders, memos, and student art work. The upper left corner of the whiteboard is a collection of mythological coloring pages from my students last semester. You can also see my big filing cabinets, our TV, and a a bunch of my junk. I usually keep a pretty clean desk, but I have a ton of stuff to file and put away! Right behind my desk and next to my filing cabinets is our storage space for the laptop and projector (my overhead projector is currently hiding on the bottom. I am using the cart for it to move my Maus books between classrooms). This is one of the many student areas I have. Both of my classes have a set of folders for absent work. This is also where I store papers to be passed back, etc. On the board are where I put BIG reminder dates, etc. You'll also see some lingering books and folders kids have left in my room. More of the partition wall. We put up student artwork on the panels as much as possible. Right now the wall is home to some of my mythology students' maps of Greek and Norse geography from last semester. You'll also see one of the 2 skylights in my room (the other is near the door). I don't have a window, so I have these...it's interesting, not having a window, and when it is dark outside, so is my room! This is a new addition to the room-my grammar guide wall! I found inspiration for this on Pinterest, so I started pulling it together a couple weekends ago. It covers a lot of the silly errors students make-like affect v. effect. Next to the grammar wall is a set of literary and figurative language terms. This is another new addition. I had been eying these posters with these terms and definitions online, and when I started looking into them, I realized that it would make more sense to just type them and make them myself (the posters online were like...$50. No thank you). And here we are! This was taken from the front of the room-just to show you our seating arrangement. The desks were in some kind of horseshoe last semester, and it worked okay for a while. We tried moving the desks into groups of four, but we just don't have enough room, so this works for now. Anyway, you can see the big back bulletin board. The right side is for Angela and the sign language classes. The left is for me, and right now it has World War II things up. I also have two more posters sets along the top-one on Parts of Speech and the other has quotes from women. And here is a close-up of the World War II wall. I still have some pictures to laminate and put up, but it's coming together! My Rosie the Riveter poster is a favorite, so once we're done with WWII, she'll find a home elsewhere in the room. I'll also keep the atom bomb picture up through our Cold War unit as well. Weekly Wrap-up for Janaury 27, 2013: The Nightmare. I had really big plans for this week-starting my new classes, beginning discussions on World War II and The Great Gatsby (I was SO EXCITED to talk about the green light). All of that was thrown away when I came home on Wednesday to find Matt in bed shivering and looking horrible. I woke him up to talk to him and learned that he had been vomiting since BEFORE he went to work the previous day (Note: On Mondays and Tuesdays, we work opposite schedules. He goes to work at 4 in the afternoon and works through the night). So, Matt had been getting sick for over 24 hours. I let him sleep for a couple hours, then woke him up with a hot bowl of soup. It didn't go well. He couldn't keep it down, and looking at him, I just knew something wasn't right. We decided to go to an urgent care facility a little down the road to get him looked at. I was concerned about his blood sugar level, since he is a type 1 diabetic. I was right to worry. After they got us into a room, I mentioned his diabetes, which got them moving (I should have mentioned it when we walked in). They tested his sugar and he couldn't even sit up. His sugar was at 402 (which is HIGH). Immediately they told me to take him to the hospital, so over to the ER we went. After being admitted, they took us back almost immediately to a small room and got him hooked up to IVs, etc. His blood sugar was higher, he was still getting sick, and it was horrible. He was so dehydrated that they couldn't get into his veins to give him medicine and insulin. At one point, his blood sugar was so high (over 500) that when the nurse asked him to identify me he said, "I have no idea." They made the decision to put him into the ICU after that, so we traveled upstairs. The meanest nurse told me to go "Wait somewhere" while they set him up. At that point, it was super late, I was alone, hysterical, and just wanted my husband to be okay. I may have lost it a bit in the waiting room, and eventually she came to tell me I could come see him. It was so scary to see him hooked up to a lot of machines. They were worried about his heart rate since it was so high. But at least he was awake and talked to me a bit. The room had one chair, so I sat down and settled in for the night. I kid you not, that mean nurse told me at least ten times to go home (Matt agrees that she was really rude). I was not about to leave my husband alone in the ICU. Thankfully, another nurse brought me a blanket and tried to make me comfortable so I could sit with him during the night. I slept a little, but woke up every time they checked his sugar. At around 5, I snapped awake and Matt was awake too. He looked so much better, so we talked for a little while. I had to run home to feed the animals, call in for a sub, and sleep for a couple hours. I was back by 9:30, and they decided to move him out of the ICU since his sugar level stabilized. At that point, it sank in he would be okay. From there, we spent the next two days waiting for his other levels to regulate themselves and getting some food in his stomach (he hadn't kept anything down since Monday night). He was finally able to come home Friday. I am so glad to have him home. He feels a million times better, and it's great to see him looking like himself. He has a lot of bruises on his arms from all the needles and bloodwork, and the tips of fingers are bruised from them testing his sugar so much. I feel really drained (emotionally) from everything that happened, but I am so grateful for my co-workers. They really helped me pull together lessons and make sure the subs were comfortable with my classes. The media specialist, a good friend of mine, stepped in and taught my history classes on Friday so the kids would have a break from book work. The kids have also been quite sweet. I posted on my webpage that I wouldn't be in, simply saying my husband was in the hospital, and I've gotten some very concerned and sweet e-mails hoping he gets better. I'm so happy to have such a warm and supportive group of people around me, but most of all, I'm glad Matt is home with me and on the mend. Weekly Wrap-up for January 20, 2013: The Halfway Point! On Tuesday, I am starting the second semester of my first official year of teaching. On one hand, I'm thinking that this crept up on me, but on the other, I'm excited for the content and excitement that comes with the spring! I'm going to be busy. While I am losing a prep (I'm not teaching mythology this semester), I am gaining an section in each of my other classes-so I will have 3 U.S. History classes, and 2 sophomore English classes. In addition, I'm co-teaching theater, so I don't have a prep hour during the school day. I will be busy, yes, but I am excited for the challenges. And to be honest, I am so excited to only have two classes that need prepping (the teacher I am working with for theater is doing all the planning). I feel like I can put a lot more of myself into those classes and come up with some amazing lessons. Right now, I'm working on creating a display for The Great Gatsby. I'm printing out a ton of pictures, quotes, cartoons, and more that are related to the book and collage all over a wall. I'm also adding in some "20s" themed decorations-lots of glitz, feathers, and sparkles-to set it all off. There will also be a lot of yellow (oh symbolism), and I can't wait to get the rest of it up! I'm also finishing up a bulletin board for my World War II unit. Right now I have my big Rosie the Riveter poster up, as well as a huge poster of an atom bomb detonation. There are some other things on the wall now, but I'm adding much more. I've found some pictures from Maus to display (since we're reading it), as well as other images of the time period. I think both units are going to be amazing and set the tone for this second semester! But I'm really excited about the collaboration going on between myself and another history/english teacher in the building. She is actually the teacher I subbed for two years ago! She is going to come into my history classes to give a presentation about her visit to a concentration camp, and share some of her family's experiences from during the war. In return, I'm going to her senior composition class to talk to her students about the classics and reading them! It's a win-win situation and just really inspires me. This is what teaching should be about! 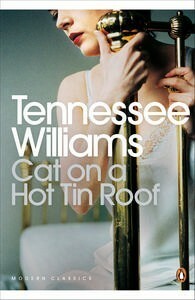 Book 150: Cat on a Hot Tin Roof by Tennessee Williams. I've only had one other experience with Williams, and it was pretty positive. And when I decided to pull this title down for a read during the readathon a couple weeks, I was expected a fast read and nothing more. I think I should have learned by now that all the plays on my list are there for a reason. I can't so easily dismiss them. Beginning this one, I was struck by the similarities to another play on my list, The Little Foxes by Lillian Hellman. It took me a little while to place my reactions to Hellman's play aside in order to concentrate on this one, and once I did, I realized that a lot of the similarities were only on the surface (both focus on a dying cotton plantation owner and matter of inheritance). And I believe the years between the "publications" of each play show a remarkable different. Hellman's play, first written/performed in 1939, is definitely fiery and full of passion. There is a lot of scheming and plotting on part of the main female character to insure that she will be left wealthy. She pushes her family and insists on having everything she thinks she deserves. And while Williams' play also has a strong female lead in Maggie, there seems to be a lot more at stake for the family members. There is a lot more depth to the backstory, and it appears that Williams play is more about the individuals than the plot. Each of the characters has a motive and a desire that is brought to the surface of the play, then they disappear a bit into the background. As I was reading, I kept catching glimpses of each struggle, all kind of bubbling there under the surface. Essentially, the play is about Big Daddy and his fortune. He recently went to the doctor, and while most of the family knows the truth-that he is dying of cancer-he doesn't. So, his two sons and their wives are trying to win favor to get his inheritance. And as they push and prod him, all kinds of issues come out-alcoholism, infidelity, jealousy, repression, desire, and death. All of these issues influence the characters in different ways until it all comes out-the truth about Big Daddy's impending death, the truth behind a friend's suicide, secret desires, and a whopping big lie. By the end, I was reading and flipping pages as fast as I could to discover what happened. It was fast-paced, tense, and incredibly unsettling, but I really did love it. I'm pretty sure there is nothing new or insightful I can say about Tolkien's The Hobbit. It is everywhere and there has been so much conversation about Tolkien's Middle Earth that anything I DO say will just be swept under the rug. I was obsessed with fantasy and science-fiction as a teenager. I discovered the genres in middle school, and quickly flew through some amazing series and examples of each. Then I ventured off to high school and learned that apparently, girls don't read those genres, let alone LOVE them. So I swept them under the rug in my first year and attempted to read "girly" things and books that would convince my Honors English teacher I was smart. Eventually (and thankfully) I grew out of that stage and realized that it didn't really matter and that I loved fantasy. 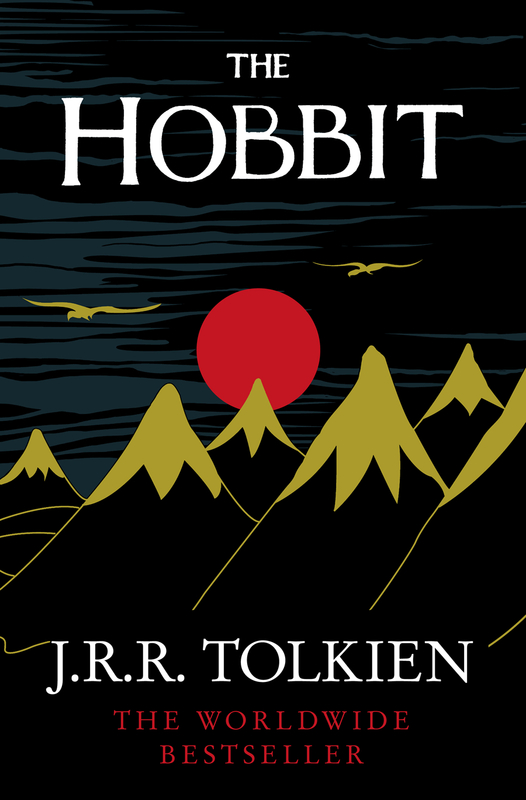 I purchased The Hobbit and read it for the first time (and later The Lord of the Rings, which I wrote about in this very early post on my blog). I fell in love with Tolkien's world and was convinced that there was nothing greater than Middle Earth. I've read the book numerous times since then. 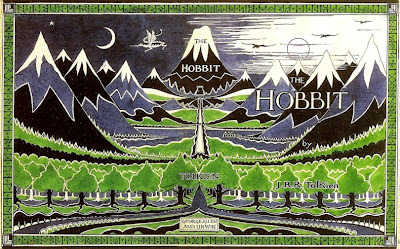 In the Mystery/Science Fiction/Fantasy class that I took as a junior in high school, The Hobbit was part of the curriculum. I adored the whole unit (and the class), and we even watched the very old school animated version of the book. It was my own nerdvana, and I loved it. Since high school, I've revisited the book from time to time. In fact, when I cracked open my battered copy on this most recent reread, all the memories of reading it came back-being in my mom's car, carrying it to school to read after a test, reading favorite parts in college as a break from other books, and lugging it in my move out of my parents' house and into our current apartment. It is a very well-loved book and holds so much comfort for me. There is something to be said about that-finding comfort in a book and remembering not only the characters, setting, and plot, but also that places that you have been while reading the book. I wish I had the same strong feelings about each book I read. As far as the story, it was everything I remembered. Since I read this in the fall, you can assume that I read it before we went to see the new movie (which I loved). 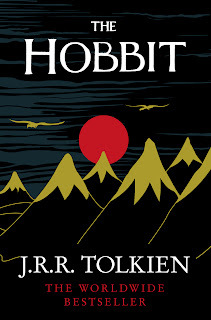 On this most recent read, I really tried to focus in on the dwarves and Gandalf's role. I noticed only a few new insights and was happy to see that the new movie built on a lot of the back story (and hello, Radagast. He is awesome). Weekly Wrap-up for January 13, 2012: Back to the Grind. Phew. This was the first week back after our two-week winter vacation, and let me tell you, it was a rough one. On Tuesday afternoon, the district was working on the servers for our computer system...and everything went down. Teachers and students couldn't access files, laptops on our carts had no internet access, and the computers were SLOW. They finally restored full access YESTERDAY, so you can imagine it was rough. This week will go by quickly, I am sure. We have two full days, followed by three half days-2 exams each day. I'm in relatively good shape for grading, since all I have are the handful of things I collected in this past week. I'm hoping that I can spend the time the kids are taking their exams on prepping and getting things ready for second semester. With second semester also comes my unit on Maus, which I am more than excited for. I brought the copies of the novel down to my room this week, and they are currently sitting in a box on my big front table. They have caught the attention of my kids, and I think they are really going to love the book and the unit. I'm also teaching The Great Gatsby in my sophomore English classes at the beginning of the semester, so I need to do a quick reread this week to refresh my memory. Besides all the school stuff, I've spent a lot of time this week with my niece, Zoey. It's hard to believe that she is almost 3 months old! My mom is watching her during the day for my brother and sister-in-law, and there were 2 days this week she had an appointment, so I came over after school to spend a couple hours watching the little munchkin. I also babysat last night for a few hours while my brother and sister-in-law went out for a date night. Zoey is the cutest little thing, and except for one little bout of fussiness last night, she was a blast to play with and cuddle. I'm glad that I get to be a big part of her life. In reading news, I launched my Willa Cather Project this week, which I am over the moon excited about. :) When I was planning it, I was looking into finding copies of her poems and essays. While they were sold in single-volume sets, they were so darn expensive! I decided to be 2 of the 3 titles in the "Library of America" series on Cather (I decided not to purchase one of the volumes since it just contained her novels, which I already own). I've never owned one of the editions before, so I took a chance and ordered them used on Amazon. The first one came yesterday, and thankfully, it was the one with her poetry (April Twilights), so I already started reading. :) There aren't an overwhelming amount of poems, so I imagine I will finish them this week. I also finished Cold Sassy Tree, which, as I read, seemed more and more familiar to me. I could have sworn that I read it before, but I couldn't figure out when. Generally speaking, I have a pretty good memory of what I've read and when, but I was drawing a blank. It was only after the scene with the car that I was SURE I had read it, and after asking on Facebook, turns out that I read it in high school for my sophomore English class. I'm pretty sure I didn't read it as an assigned book, but as a book for fun. Lastly, I started Anna Karenina yesterday morning. I've been meaning to read it, and I was disappointed I didn't get to it last fall. I'm already 50 or so pages into it, and I can imagine really sinking into it and flying through the pages. Assuming I get all my grading done between today and tomorrow, I'll have a good amount of time to read this week (the grading for my exams is pretty straight-forward). I'm also looking forward to next weekend since we have the following Monday off. I'm picturing a lot of time snuggled up and reading. I hope you all had a pleasant week and that you currently have a good book waiting. Let me know what you're reading! It has been a long time since I have talked about a title from my 250 Project list, AND it has been an even longer time since I've read this title in particular. I decided to read Mansfield Park for Adam's Austen in August event. And I did read the entire novel in the very beginning of that month. Then, my classes I was teaching changed, so I was in a planning craze, then I started feeling sick, then school started, and before you know it, here I am in January. Whoops. But I can't let this one just slip through the cracks, so I must say something about Austen's novel, even though it probably won't be all that detailed (or insightful). I had read Mansfield Park once before-back when Austen was a new obsession-and while I enjoyed it then, it wasn't my favorite. Mansfield Park is definitely a quieter version of Austen, and I much preferred her rip-roaring heroines in Pride and Prejudice and Emma. But, I was eager to read this one in August to see if my feelings had change at all. Imagine my surprise when they didn't! I really thought that coming to this novel with a more mature perspective and outlook would increase my love for it. After all, I do love the quiet strength of Anne Elliot in Persuasion. And while I liked Mansfield Park more than what I remembered, I'm going to be honest and say it is still my least favorite Austen. While the clever wordplay and passion is still there, I just wasn't as invested in the story, or as interested. It was good, but I didn't think Austen was at her best. That makes me wonder how many other authors that I love have books that will seem like a disappointment to me (and again, I want to stress that I liked the novel-it just paled in comparison to the other titles in Austen's name). By reading a lot of the "big" titles by these classic authors, will I find myself disappointed when I read their minor works? Will there be multiple books by them that I won't like? Will I get sick of reading them? Those questions taunt me a little, and I suppose I won't know until I read more by the authors I have merely been exposed to. On Saturday, I got into a discussion on twitter about reading the major or complete works of certain authors with a few bloggers. We discussed some of the big names and the authors we would most like to read. Authors like Steinbeck, Dickens, Hardy, James, and more all came to mind. We all became pretty inspired and two bloggers have already posted away (you can see Adam's here-he chose Steinbeck, O's is here-she chose Trollope). I've always thought that the most logical step for me after my 250 project would be to go back and read the complete works of an author. I am close with a few-Shakespeare, Austen, the Brontes-but I wanted to push myself by reading an author I don't know a lot about. This project will serve to educate me about that writer. After thinking it over, I settled on Willa Cather. We have had a rocky history. I hated her novel, My Antonia, when I read it as a high school freshman (now I love it. It happens, you know?). When I took a risk and read O Pioneers! in the first year of my 250 Project, I fell madly in love. 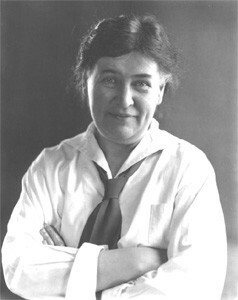 So, I've decided that Willa Cather will be my choice for a Major Works/Complete Works Project. The goal is to read her work in order of publication. The one exception is My Antonia, since I just finished it (I will be rereading O Pioneers!....because I can). If I cannot find a copy of the work, I will simply skip it and move on (I already own all of her novels, save one, so I am more concerned with finding her short stories and essays). I'm not giving myself a goal date for this project. My hope is to finish when I feel so inspired, and to get to know a writer I don't know much about. So here's a question, if you were to read any classic author's works, from beginning to end, who would it be and why? In the last few months of 2012, I was flying through some YA titles like it was my job. 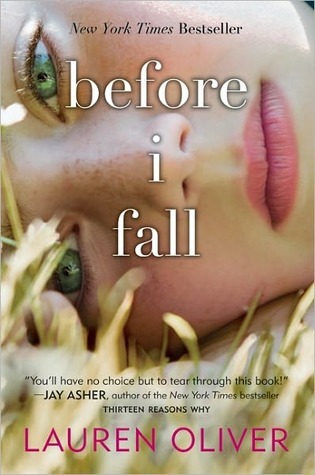 Since I normally don't review YA, I always feel awkward posting big posts devoted to those titles. I also get a bit a apprehensive about writing about books by people who are still alive and kicking (perhaps due to the hilarious comments on my post about Christopher Paolini's Inheritance cycle-the comment in all caps slays me. I died when I first read it). I enjoy John Green, but hadn't gotten around to buying and reading this title. After talking to a few students about Green, they told me I needed to go read this one, so I bought it. I wasn't sure what to expect being that it is a compilation novel between two writers (and I haven't read anything else by Levithan), but I definitely wasn't expecting what I got. In many ways I was surprised by the novel. It seemed a lot more...aggressive than the other work I've read by Green, but the characters were pretty true to what I'm used to. As for the story, it was hopeful, sad, and funny all at once. Tiny Cooper is one of those characters that sticks with you because of the insane amount of eccentric, but he was still real because I knew a kid just like him in high school. 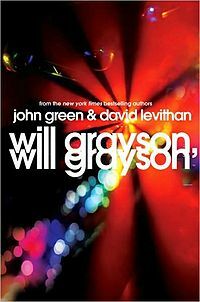 :) I also like both Will Graysons to varying amounts. In all, it was a fun and fast read, but not one of my favorites for the year. This was one of those books that I saw everywhere on the blogs a couple years ago, and I marked it down as a title to read at some point in the future. I managed to read it in one long sitting one weekend night after I impulsively downloaded it to Homer (my Nook). I've read Oliver's Delirium and Pandemonium (and I'll read the third book this year, even though book 2 ended with a cheap ending), so I was familiar with her writing style. I was really curious about her ability to tackle a contemporary style. Matt and I went up to his parents' log house for a few days after Christmas, so I went to the bookstore the morning we left to spend my gift cards. This happened to be in the used section, and it was a complete impulse buy. I figured it would be a fast read while we were on vacation, and I was completely right. 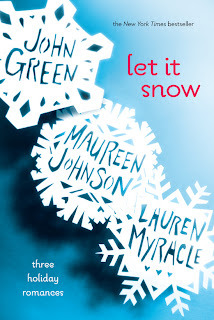 The only author in the collection I was familiar with was John Green, but Maureen Johnson is an author I've been wanting to read (I follow her on twitter and she is hilarious). Of the three mini-stories in the collection, I actually enjoyed Johnson's the most. That was also a disappointment since hers came first. Anyway, the premise of the collection is fun-the characters weave in and out of the three stories and actions done by one have an impact on the others. They were cleverly woven together, but I wasn't in awe of the final product. Johnson's story was by far my favorite. It was funny and spot on, and while there were some things I was questioning in the plot, I liked the characters and story the best. Green's story was funny. The best scene in the entire book is with his three main characters as they attempt to drive their car up a snowy and icy hill. I had to read it out loud to Matt. However, I started to get bored as the story went on...it just felt too familiar to me. I figured out during the course of the story that Green always manages to write about a trio of characters...and I even stopped reading to google it on my phone. Looks like I'm not the only one to come to that conclusion! Lastly, Myracle's story just grated on my nerves. I felt no sympathy for the main character and wanted to smack her upside the head for most of her story. I also felt the pacing was off and imbalanced. In all, it was a good diversion, but I'm glad I only paid a couple dollars for the collection. I read the Percy Jackson series a couple years ago and enjoyed them, so I've been collecting these (and the Kane Chronicles which I have yet to read) for the last couple of years. I have to say that I enjoyed these a LOT more than the Percy Jackson books. Not only are the characters more mature, I think Riordan's writing is better. However, I still have some issues with some of the pacing and the same plot techniques used in the books. Granted, I know these are usually labeled MG and that kind of formula works for that age group, but as an adult reader, I wanted to say enough already! I say that in jest because I really did enjoy the stories! I think Riordan is very skilled at what he does. He manages to weave the mythology into the books so seamlessly that it makes me smile (as someone who is teaching mythology). I enjoyed the fact that he brought in the Roman version of the gods and that the problems and characters are more complex. I can't really say more than that without giving away big plot points! A student was reading If I Stay for her book project, and since it was one of those books I had written down at some point, I figured I should read it. I was not at all prepared for the emotional depth of these two books. I knew the premise (Mia and her family are in a massive car accident. Her parents and younger brother die in the accident, but she is in a coma and must decide to either stay or leave to be with her family), but I was not prepared for how sniffly and choked up I became as I read. The story was heartbreaking and as Mia reflected on her life and the decision she had to make, I was pulling for her, but in which direction, I can't say. I also felt for her boyfriend as he struggled to see her and speak with her. The second novel takes place a couple years later and is from her boyfriend's point of view. In it, he struggles with what happened and the result of "where she went." Both novels were incredibly moving and touching. 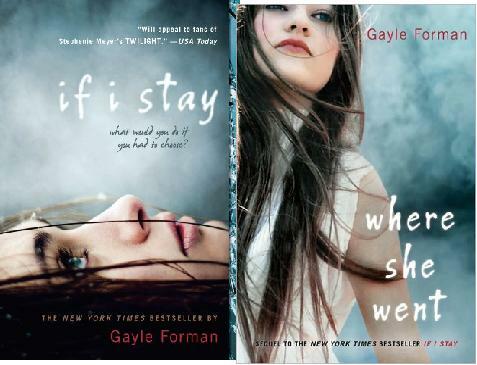 And, I can't believe I'm saying this, I think I actually preferred Where She Went over If I Stay. It also grabbed me and made me weep like I haven't in some time. I think it is a true testament to Forman's writing ability to pull out that kind of emotion in a reader! I know she has a new book coming out this month, and I will be definitely reading it. Donnelly won me over a few years ago (I think right before I started blogging) with her book called A Northern Light. The writing was incredibly beautiful and intricate for a YA novel, and it was an instant favorite. So, I've been meaning to read this one since it came out, so it was another purchase in my day after Christmas book shopping spree (I do wish I had purchased it earlier, since I'm really not a fan of the cover-big faces don't appeal to me-but that's petty). I was not disappointed. In fact, Revolution was one of my favorite books of the year, and a great way to end 2012 (I finished at 9pm on the 31st). The story is about two girls-Andi and Alex-who live 200 years apart from one another, but that have a lot in common. Andi's story (the modern character) was one that grabbed me instantly. She was a perfect "angry teen" protagonist, but with good reason. I also enjoyed her connection to classical music and the emotion she felt whenever she played (I feel the same way when I play). I also loved the historical elements of the novel and the diary from Alex. I think it was a new and different way to have that realization for Andi without the influence of a therapist or close friend (or boy. Because teenage boys are all kinds of sensitive, don't you know). And while the novel definitely went there near the end, it was well-done and interesting. I also have some ideas about whether Andi really went there (I don't think she did, but I can't say more without plot spoilers). But, by the end, I was in love and I am ready to go buy all of Donnelly's adult titles because I need more of her beautiful way with words. She is a must-buy for me and an author I need to recommend to my students. I am a very goal-oriented person, so it makes sense that I make new goals at the beginning of every calendar year. I also make goals at the beginning of every school year (since that makes more sense for my professional life as a teacher), but there is something about the new year that gets me all excited and worked up for what the year will bring. Please let me know if you think I should add anything, and what your goals are as well! Return to a 75/25 split between Classics/Other genres. I totally threw my classics out the window and I really miss that balance. Blog at minimum 2x/week (I'm hoping I can get to where I was before (about 4x/week), but I want to start small). Comment on 10 blogs each time I log online for blogging, etc. 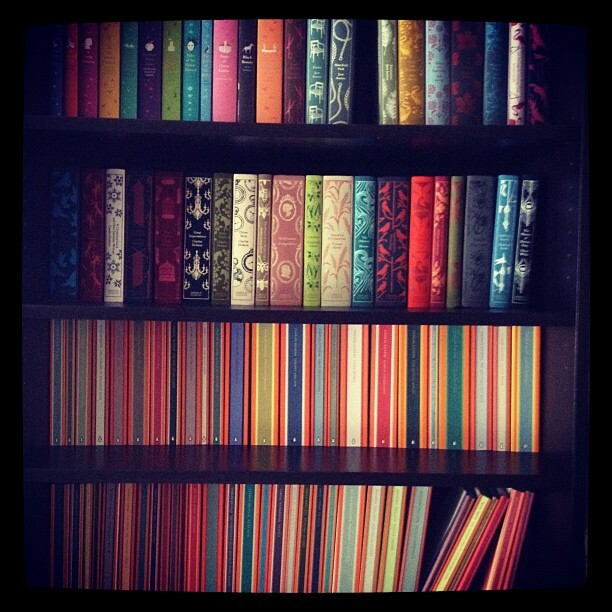 Continue collecting my Penguin English Library editions I love so much (and share pictures, of course). Continue putting money into our house fund! Work on some of my unfinished writing projects! There you have it, my general goals for 2013. I hope I can achieve all of them by the year's end! It shouldn't come as news to anyone that 2012 was a year of very high highs, and very low lows. It is a year, that, for the most part, I want to put behind me as quickly as possible. I don't want to think about a lot of the things that happened this year, but a very big part of me feels like one last little look won't hurt me too much...and that I need to put it all into perspective in some way. This post...as I begin writing, is one that I am nervous about. Part of that anxiety is due to the fact that I don't feel entirely comfortable writing here any longer. A lot of that has to do with my own absence. I'm going to explain that in a bit. However, another part is that my life already feels very exposed. I never thought I would have an audience...and I don't know if I like it. I understand that having an audience is the very nature of blogging, but I'm not sure if I'm entirely comfortable with being personal any more on the blog. My life has changed, and with that, my comfort level of putting it out there. However, I have not said anything on here that I wouldn't say in person, so I am not embarrassed. Just wary of my online identity and who may be reading. In many ways, landing a full-time teaching job brought me happiness and freedom, but it has also made me unsure of myself outside the classroom. While I think I exude a kind of confidence when I am teaching, I am nervous outside my classroom doors. I am wary of those around me and their purpose. And their impressions of me as a very young, new teacher. I am definitely introverted in that environment, and that has started to influence the other aspects of my life. In any case, not everything about my recent absence from the online world has to do with those feelings. A very large part of it has to do with my health and the indecision on whether it was wise to share what was going on in with a broader audience. However, in the last few weeks I have shared the news with people who should know it-my family, a couple close friends, my boss, and a few close teacher friends. I wasn't sure if I would ever share it here, mostly because it didn't feel right, but I feel like I need to-that I need to get it out and explain why I haven't been here. And I don't think I necessairily owe an explanation to you...but perhaps to myself. When school began in August, I was not feeling good. I actually had to go home on the second day of school because I was so sick. This came on top of some weird things that were happening over the summer. I was getting weird body aches (more than I was used to with my arthritis), as well as sores in my throat and mouth. As school progressed, I struggled with breathing and had to rush to urgent care one evening since my oxygen levels were going low. I've been relying on an inhaler ever since to help me through trouble spots. My hair started falling out in clumps, my joints were seizing up-making writing and typing painful, bumps were forming in my eyelids, and I would break out in rashes at random times and in random moments. It was difficult. I figured a lot of it had to do with stress from a new job, but my doctor thought otherwise. After some other crazy symptoms, my doctor began running tests. After bloodwork, visiting a specialist, and looking for answers, my doctors diagnosed me with Systemic Lupus. Now that I have an answer to all the weird health issues going on, I feel at peace. I can start getting my life under control once more and return to doing the things that once made me happy-like blogging. I tell you all of this so you can know why I am happy to put 2012 behind me, and to give you a little insight into why I disappeared from the online world. I'm hoping, as the doctors and I begin trying new drugs to keep my symptoms under control, that I can return to blogging like I once did. I'm also hoping I can return to a semi-normal lifestyle-one without inhalers, weeknight trips to the ER for breathing treatments, and one with a good sense of hope and relief. I have big dreams for 2013, and while many of them are focused on teaching, writing, and reading, my biggest goals are for my health. I want to feel good, and I am going to do whatever I need to so that I do. I'm also hoping I can reconnect with many of you. My absence has left me with a big whole in my heart. I miss the relationships I have made through blogging, and without that almost daily communication with many of you...I feel lonely. So, here's to hoping 2013 is much better than 2012, and that we all get what we wish for.